Sometimes writing doesn’t always convey the message you want succinctly. 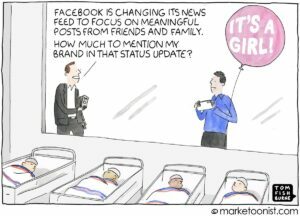 That’s why for this one, I’ve selected a handful of comical and relevant marketing-related cartoons created by Tom Fishburne (Also known as The Marketoonist). 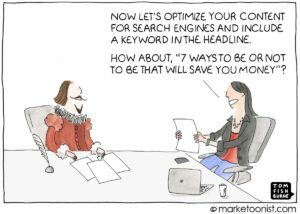 Have a chuckle, and learn something whilst you do, at some of the cartoons below highlighting some of the issues digital marketers face regularly. 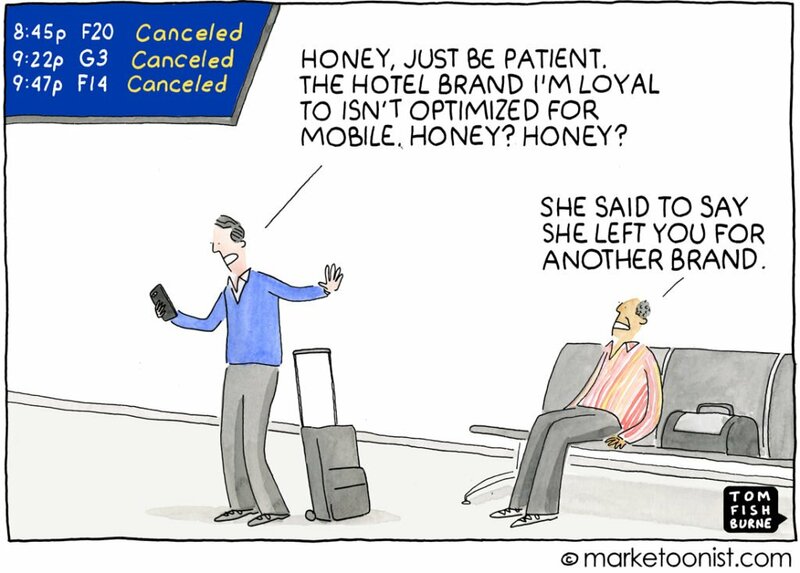 Also be sure to check out more of Tom Fishburne’s work on https://marketoonist.com/cartoons! Don’t get left for somebody better optimised! 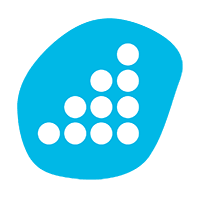 Regardless of how loyal your customers may be, if your site isn’t fully optimised for all screen resolutions, sizes and devices, you’re probably at risk of losing them. 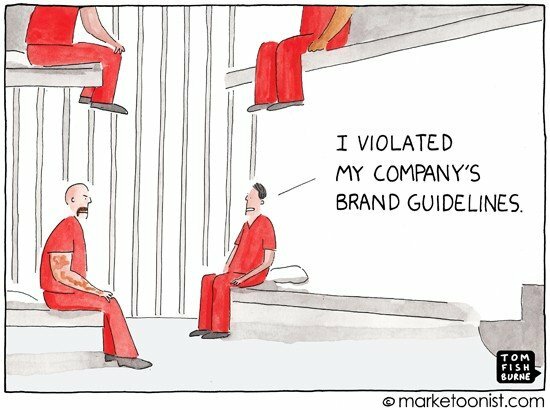 Break the law of the brand, pay the price. Brand guidelines provide a solid framework to work around, ensuring your companies identity is clearly communicated to your customer. Although at times brand guidelines can be rigid, the possibilities of where you can take the brand and what you can incorporate into it are endless. But how flexible can a brand really be? And why is it important to be consistent? Edit your content, not your message. Writing for web users can be a difficult task. They don’t read in the same way as your everyday daily paper reader or someone who likes to delve into a bit of fiction. Web users are like wild animals that hunt for information, and quickly. To make your content heard (and seen) it needs to resonate with its intended target. Social is becoming social again. In January of 2018, Facebook made a change to its news feed algorithm to ‘prioritise posts from friends and family over public content.” Following this change, companies using Social for sales and driving traffic, may find that their traditional advertising tactics on these platforms isn’t as effective as it once was, encouraging businesses to create more personal and meaningful connections through the content they produce. You may have heard the buzzword ‘Conversational’ marketing floating around recently, and you may have been told that its the future of marketing. 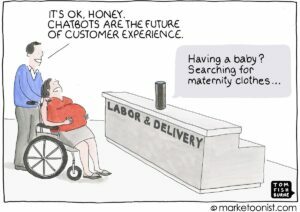 That’s not to say your business will fail if you don’t replace your entire sales force with matte black cylinders with a speaker and an internet connection, however, chatbots and other conversational marketing tools allow you to offer excellent service to potential or existing customers at any time of the day. Even 9 am on Christmas morning, let the bots handle it. Hopefully, this blog has made you smile, I know I had a fun time writing it. If you enjoyed the cartoons, please check out more of Tom Fishburne’s work at https://marketoonist.com/cartoons! For any help with any of the elements of marketing mentioned above, get in touch to discuss what you need, or alternatively, book yourself one of our completely free ‘Grow Your Business’ sessions and we’ll be happy to help make your ideas a success. Previous Post How to set your business up to grow.